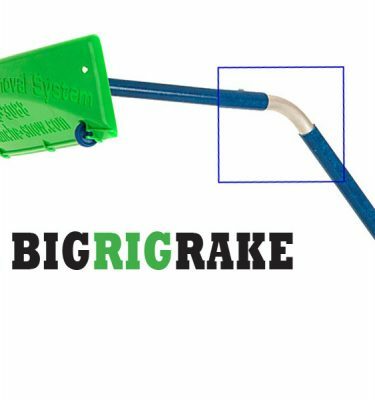 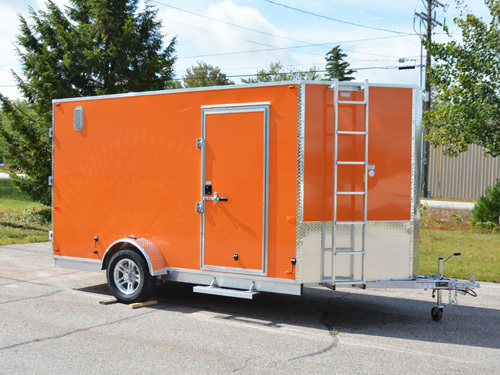 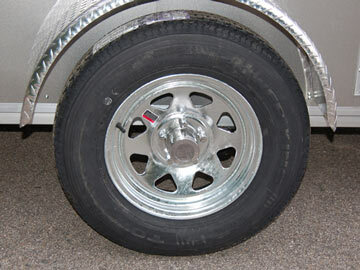 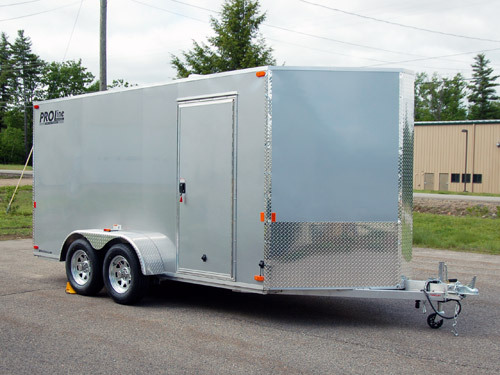 This 2 place inline snowmobile trailer may be the safest and easiest way to tow two snowmobiles. 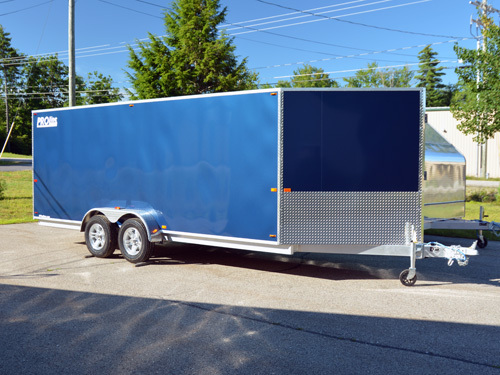 The inline 7′ wide trailer box means significantly reduced wind resistance compared to clamshell, hybrid, or similarly designed trailers. 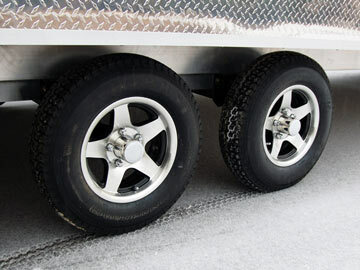 More importantly, this 2 place snowmobile trailer rides on large radial tires. 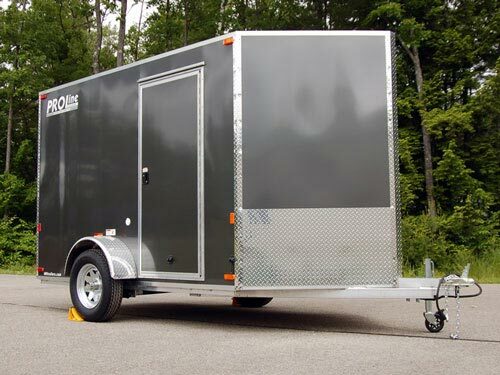 With two snowmobiles staggered comfortably inside the 16′ long trailer, you can be confident you’ll be starting your next trip on the right foot. 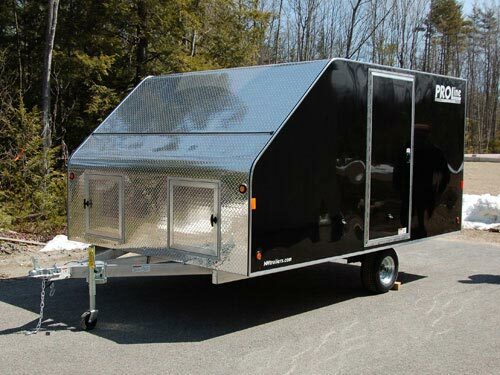 This two place snowmobile trailer is built from the ground up to handle whatever the winter roads throw at you. 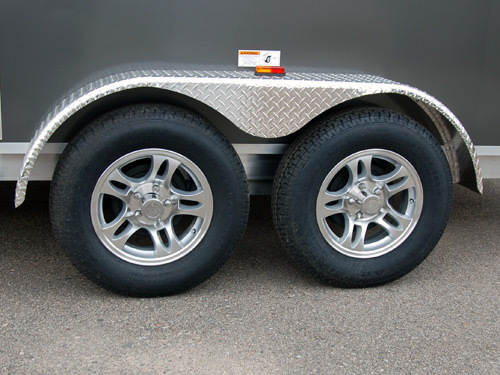 Starting on galvanized Dexter Torflex Axle(s) with E-Z Lube hubs, big radial tires on galvanized wheels, and an extremely rugged 5″ mainframe. 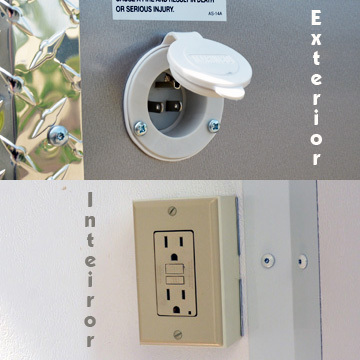 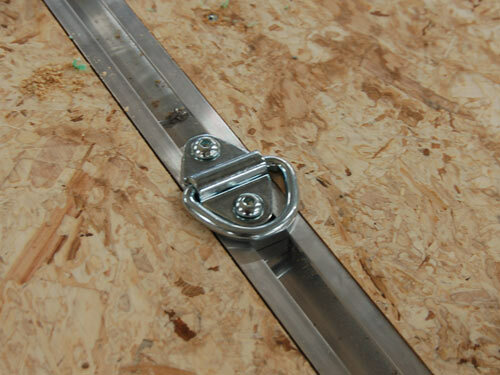 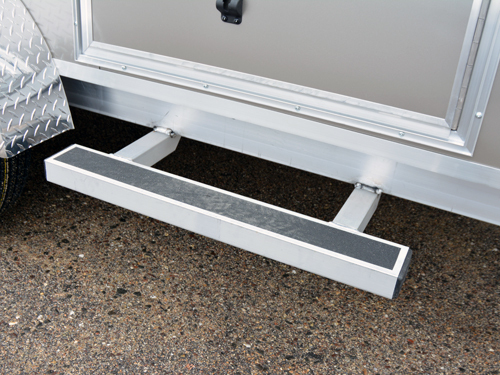 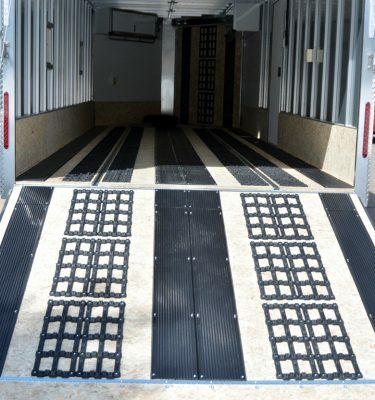 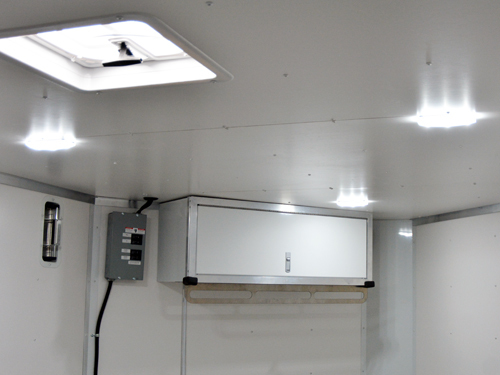 Inside the trailer, you’ll find a 3/4” flooring, two full-length tiedown rails that are welded to the trailer frame, and multiple LED interior lights so you’re not left in the dark. 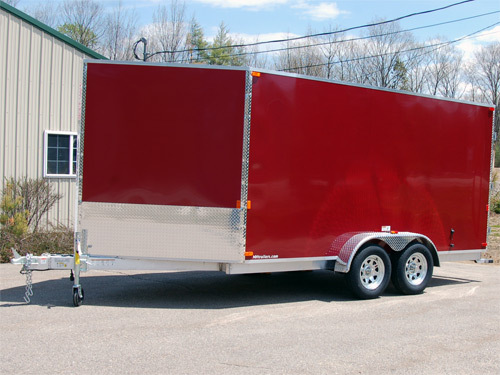 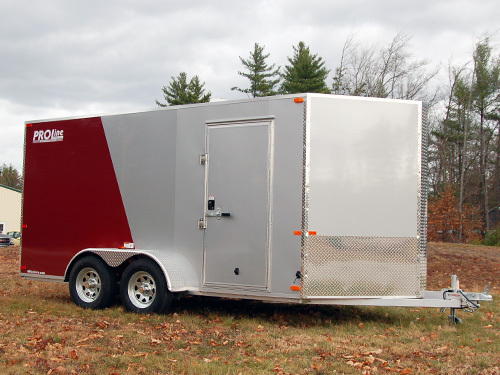 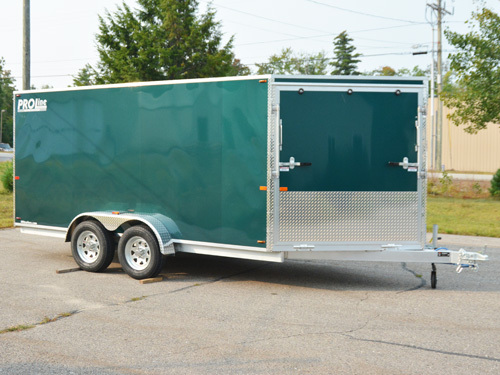 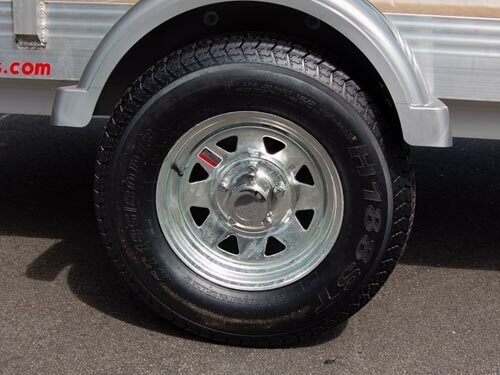 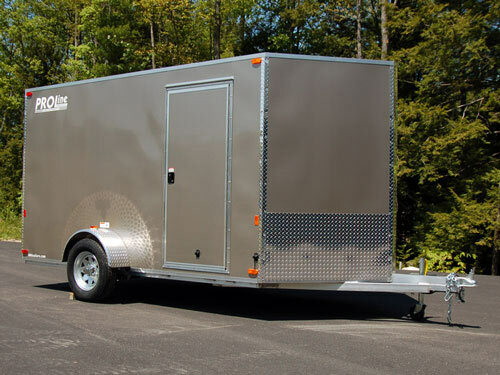 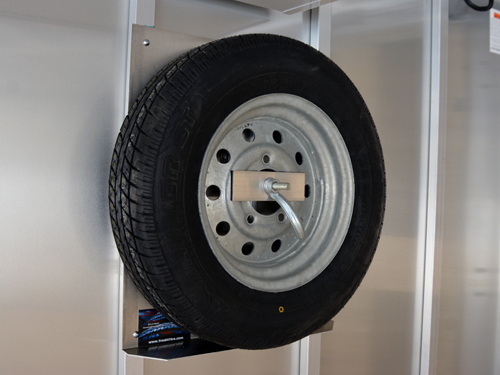 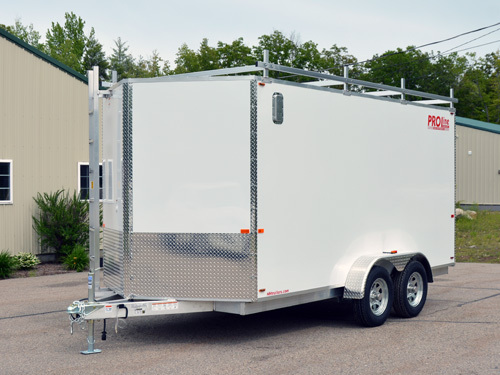 The roof of these snowmobile trailers consists of a single sheet of mill finish aluminum adhered down to the 2″ thick roof cross members, framed on 16″ centers. 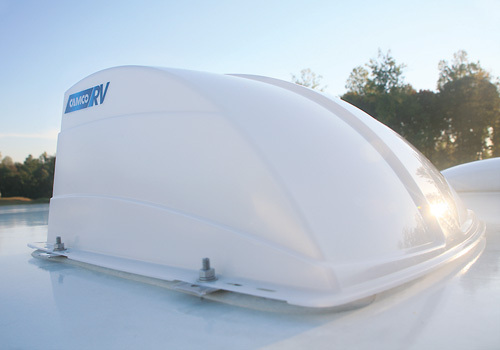 All this adds up to a trailer roof stronger than any other of its kind. 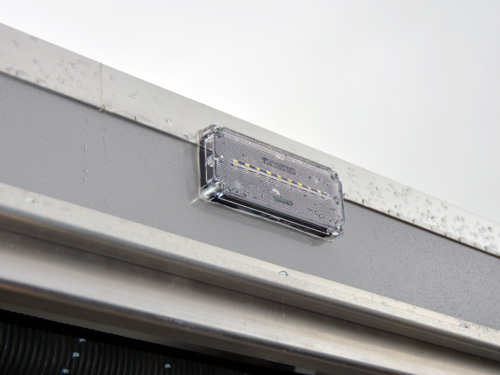 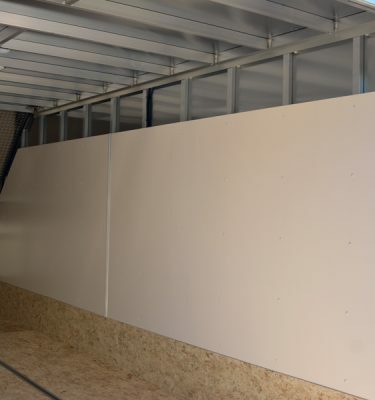 In the middle of the roof you’ll find a Ventline pop-up roof vent for ventilation, properly framed for and sealed to ensure no leaks. 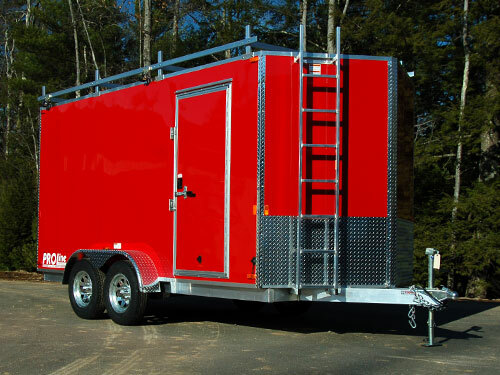 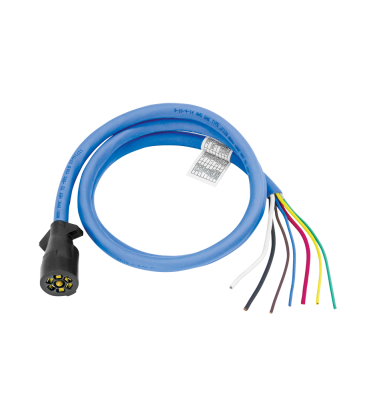 Standard LED trailer lights on the outside shine bright for improved visibility and the screw-less exterior painted aluminum sheets will stay looking sharp for years. 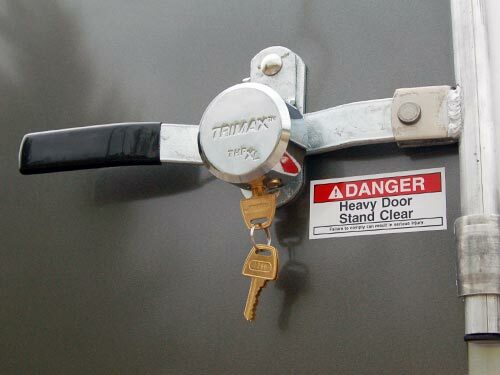 Have motorycles as well? 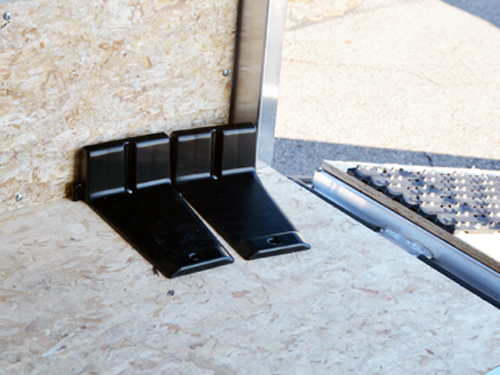 Check out our Multi-Sport Version of the IS7! 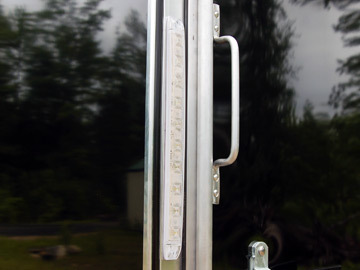 Overall Height 94" 93" 94"
Deck Height 23" 22" 23"
Top of Ball / Ball Size 20" / 2" 19" / 2" 20" / 2"